So, I had every intention of actually modeling this outfit for today’s post, but I suppose Mother Nature had other plans. Between the snow – although it was the pretty, big fat flakes kind – and wind, it was nearly impossible to get a shot without my hair looking like a bird’s nest or me modeling my best “I sometimes don’t know why the hell I live here” face. 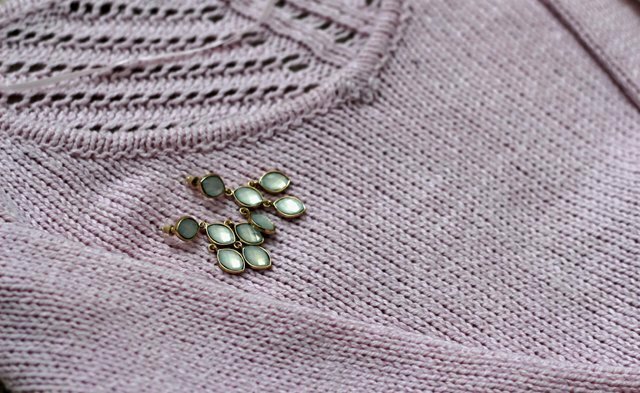 I know I’ve been talking your ears off lately about how much I am loving pastels for this season, so with probably no surprise to you, I took the opportunity to brighten up my snowy spirits with the prettiest and softest baby pink sweater. The back of the sweater has a gorgeous open-crocheted detailing, so I added a sparkly silver tank for an unexpected pop of contrast. I added a pashmina scarf – tied to look like an infinity scarf – for an extra layer of warmth and texture, and my favorite chandelier earrings and new nail polish complemented the pink and silver color scheme. What’s your favorite snow day outfit? 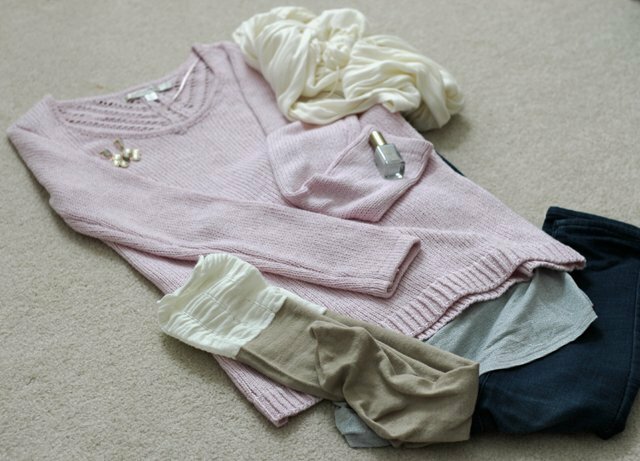 Love that sweater, so girly & sweet. It's absolutely beautiful – I may have to do a make-up photo shoot just so you guys can see the back of it! You are so lucky! This has happened to me a few times now, but I just have to roll with it I suppose. Living even further north now, we get that much more adverse weather than everybody else! Yes, that pashmina is one of my favorites – it comes in nearly every color imaginable! Right?! She is NOT the end all be all. Right?! I ask myself that all the time, yet, I never leave. Ha! We can only hope so – I'm so sick of this weather! Yeah! Didn't it just instantly brighten your mood? The pastels are getting me through these winter blues. I've found that depending on the piece, the quality can be hit or miss with her line, but I've been happy with a majority of the clothes. Her sweaters are some of the softest that I own! I love that sweater- it's such a nice color and the detailing on the back looks so pretty too! I totally understand the feeling – I've been lucky to miss the worst days when I take my outfit photos so far. 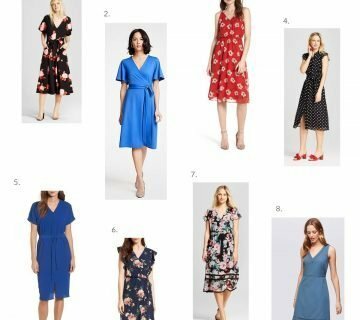 Fingers crossed that trend continues! That pashmina looks so soft and beautiful, I love how it has a little bit of a sheen! I really hate it when Mother Nature seems to think it knows better. NO. Ahhh, good ol' mother nature. Why do we live here?! Love this sweater! 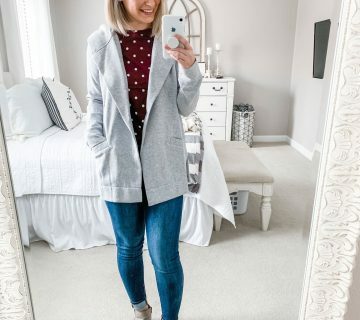 Cute outfit for a snow day or any day! Saw this as I was waking up this morning and then I put on a light pink sweater today. 🙂 Love the earrings too! I wish I got snow days! So jealous! Love that cute pink sweater! Enjoy your day girl!